The game has a fixed aspect ratio (16:9). All other aspect ratios are letterboxed. Direction buttons can't be remapped. BGM and SFX each have their own sliders in the Options Menu. Download the japanese voice files from the PSP undub version. Put the .wav files into the se folder and overwrite the original ones. 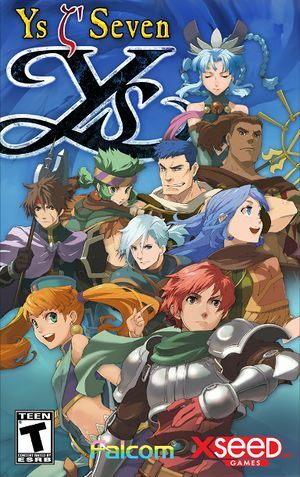 See Helix Mod: Ys SEVEN [Tweak Guide]. ↑ 2.0 2.1 File/folder structure within this directory reflects the path(s) listed for Windows and/or Steam game data (use Wine regedit to access Windows registry paths). Games with Steam Cloud support may store data in ~/.steam/steam/userdata/<user-id>/587100/ in addition to or instead of this directory. The app ID (587100) may differ in some cases. Treat backslashes as forward slashes. See the glossary page for details. ↑ Special K - v 0.8.50 [D3D11 Texture Mod Reload] - (11/1/17) :: Special K - "Kaldaien's Mod"